Have you heard of Olsenboye for JC Penney? I just learned of this new collection, popped over to check it out, and had to share it! I was impressed by the on-trend shoes, great prices, and the adorable sunglasses! I am very picky about sunglasses, and am weary of investing in a "trendy" pair of sunnies for fear that I will hate how they look on my face. But $15 is an golden price, if you love the pair, GREAT, if not... oh well. However, I'm pretty certain I would love any of these! 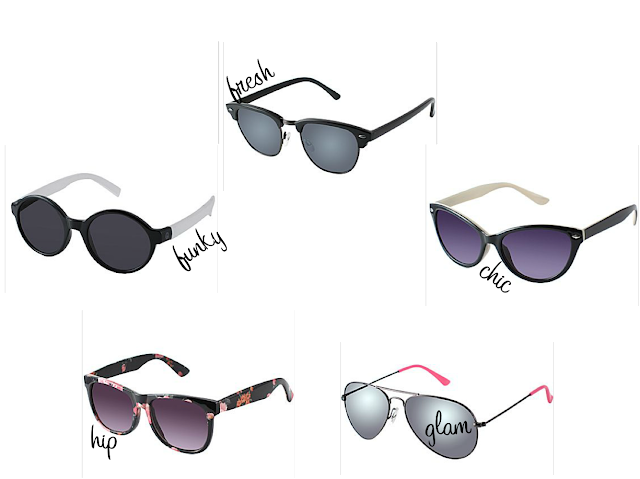 Also, I think my favorite pair is the 2 toned Wayfarers in pink+tortoise ... so hard to narrow it down! Olsenboye is more than just fab sunnies, I also am loving these $20 classic wedges, $35 (faux) leather backpack, $40 color blocked heels (so hot right now! ), and $30 girlie white sundress! i recently got into olsenboye! i definitely need to go check out those glasses! I was actually surprised to find out it's a Mary Kate & Ashley Olsen line - obviously they've branched out into women's clothes - my daugher has some of their kids line clothes. Priced AMAZINGLY - but I guess I'd want to see the quality of the clothes. The shoes look awesome too. I'll have to check it out.